ARE YOU KIDDING ME … OBAMA GOES GOLFING ON THE LUSH GREENS IN PALM SPRINGS IN THE MIDST OF A DROUGHT IN CALI? Could Barack Obama be more of an uncaring, elitists hypocrite? 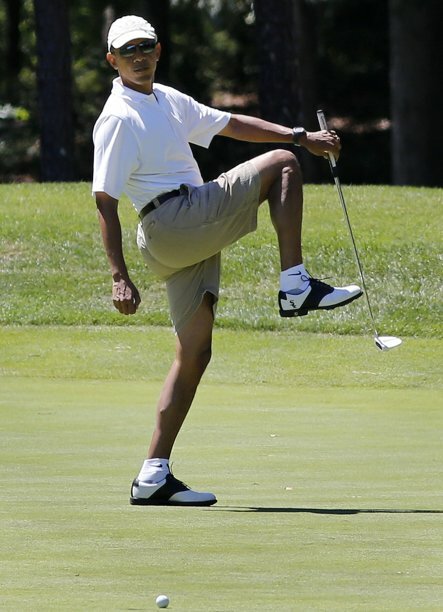 It is well documented that this man has some type of mental obsession when it comes to playing golf as he has provided some of the worst optics of any president, especially rushing to play golf following his address to the nation the day after video of James Foley being beheaded by ISIS. Now, in the midst of California’s terrible drought, where water restrictions are in place and people are being fined for the over-use of water, the Golfer in Chief headed to Palm Springs to play golf for the weekend. ARE YOU JOKING? As the Washington Times aptly states, it is par for the course! Obama swoops into drought-ravaged Calif. for golf weekend. Where is the liberal LEFT and the environmental-wackos losing their minds over this? 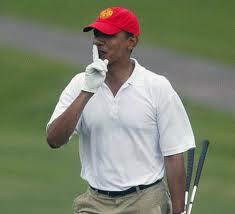 Their beloved Obamamessiah playing golf on the biggest waste of water going? Image if he were a Republican what the hue & cry would be. 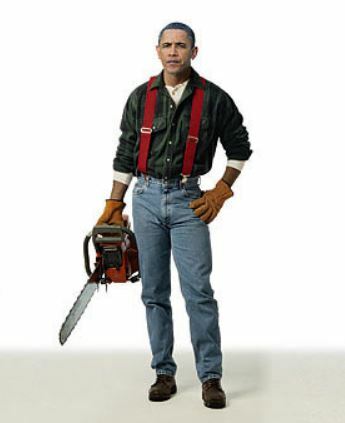 Honestly, he just doesn’t care and the rules do not apply to King Obama. He would tell you to sacrifice, but not for thee. With four fund-raisers and an awkward reconciliation with the House minority leader, Nancy Pelosi, behind him, President Obama returned to a beloved golf oasis here for a weekend getaway with friends. This time, though, was different. A punishing drought has raised questions about whether such oases can survive, and about the president’s weekend here. The vast emerald green courses in the area are watered by a disappearing Colorado River and an underground aquifer that has fallen about 55 feet since 1970. While environmentalists generally support the president, some grumbled that he needed to take up a new hobby or indulge it someplace else. Meanwhile, on Father’s Day, Michelle Obama, Sasha and Malia were no where to be found as they were in Europe. Another fantastic optic. A note to Michael Jordan … I am saying that Obama isn’t a great politician, in fact he is a political hack as well.